Linda Rand - Discussions and discoveries on life and...after through music, plays and visual media. A very talented lady, Linda has been performing on stage and in TV and film for over forty years. She had a recurring lead in DIAGNOSIS X in the role of Dr. Judy Wolfe. She also guest starred in many other episodic TV shows such as GOLDEN GIRLS, MY TWO DADA, MURDER, SHE WROTE, KNIGHTRIDER etc. 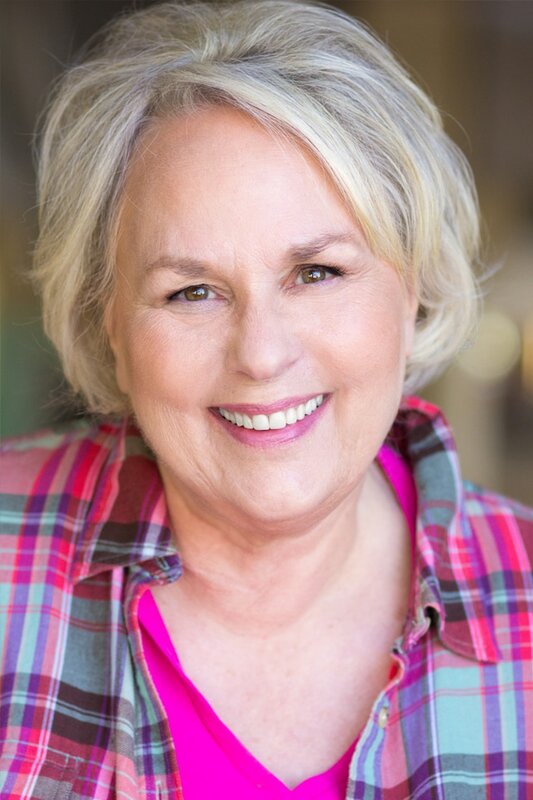 Linda has had several staged readings of her plays and also hit productions of “Angel Heart Inn” and “Bench Marks”. Many works have been presented in monologue festivals and ten-minute festivals. She also received the AOPW Fellowship Award for her original plays "Broken Limbs" and "Nothing But A Real Christmas". Her one act…"Benny and Pearl Loving In A Goldfish Bowl" was presented at Women Inventing Theatre and has been published by ArtAge Publications along with another of her hits "The Great GG Gang". Other pieces have been produced in festivals in NYC..."Just Another Sappy Slap Happy Face" and "That Sinking Feeling" in Scenes From The Staten Island Ferry. One of her short one act romantic comedies won honorable mention in The Ellen Idelson Competition and was performed at Theatre West in L.A in their West Fest series. Her CD CROSSROADS was released with rave responses from listeners all over the country. It can be purchased on CD Baby, Amazon and ITunes. There are videos with selections from this CD. Besides being a prolific playwright, actor and singer ...she also produces and directs. Her performing stage credits range from the role Evie in "The Gingerbread Lady" to Maude in "Redhead" to creating starring roles in original world-premiere works for stage. When she is not busy with performing and writing...she paints. She started experimenting in art back in pre-school. Even then she was fascinated with colors, connecting the dots and painting outside the lines. She always hated having to be contained in any way that limited her artistic expressions and use of media. She began officially selling her artwork to individual patrons as far back as the eighties. She was commissioned by many private art enthusiasts to create pieces for their own homes and/or offices. These masterpieces hang in private residences and offices throughout the United States. Being a Artistic Polymath, she is prolific in her visions and creations. At the request of many who have been to private showings in her home she finally started to show her works publicly. Her works are being selected for various exhibits throughout Southern California. She pours out her heart and her conversations with the Master Creator onto her canvases. These are intense and sometimes comedic works that make the “eye-of-the–beholder” feel deeply or laugh loudly. Her unique use of multi-media cannot be repeated. This covers such diversity of choices such as candles, mirrors, seeds, moss, beads, film reel pieces, glitter, sand, twine, etc. She is not limited by color, content or size which attracts the art lovers who are drawn to unique and individually designed pieces. The messages of each piece deals with various subject matters. However, there is a constant theme of the miracle of time spent in quiet… listening to the Divine Designer… messages from her own personal life, voices of cultural diversity and acceptance of our differences… hope and struggle… that resonate to many as they view her masterpieces.